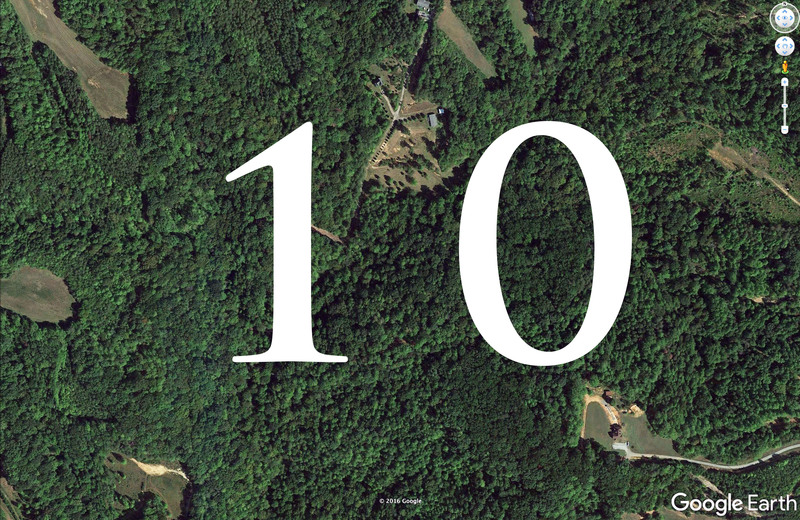 Tomorrow, July 18, will be the 10th anniversary of the Into the Woods blog. I started the blog while I was still living in San Francisco, more than a year before I actually moved to North Carolina. I hope you will indulge me for a moment for a few self-referential comments. • In the past 10 years, I have written 1,219 posts, totaling almost 400,000 words. That would equal about four good-size novels. • About half the readership of the blog is by regular readers who come here almost every day. The other half come from web searches, people who stop by to read an article on a particular subject. • Quite a few people stick around and read dozens and dozens of posts, pretty much all the posts about the building of the house at Acorn Abbey, a gothic revival cottage. I’ve lost count, but a number of people have bought the plans to the house from the architect, Rodney Pfotenhauer, and have built (or are at present building) a similar house. I’m going to guess that I’ve helped Pfotenhauer make a good bit of money (which he richly deserves). • About a third of the blog’s regular readers are outside the United States, particularly in Europe. Readers who come here from Google are from all over the world and are particularly interested in my more nerdy posts, including my post on the Nikon Model S microscope and the post on rebuilding classic Peerless speakers. • During the past five years, five books have been conceived and/or written here — three by Ken, and two by me. Of course there will be more. • I am planning a book on the building of Acorn Abbey, but that book is in the queue behind the third Ursa Major novel, to be released next year. It will be a book not just about building a particular house, but about downsizing and simplifying while remaining a productive citizen and staying involved with the world. Thanks for being a reader! And here’s to the next 10 years. This was written by daltoni. Posted on Monday, July 17, 2017, at 1:38 pm. Filed under Uncategorized. Bookmark the permalink. Follow comments here with the RSS feed. Trackbacks are closed, but you can post a comment. I am a faithful reader and enjoy the blog very much. It is a gift to write “in pictures.” I do enjoy the photos also. Am anticipating the next novel and am hoping the book about Acorn Abbey will not be too far behind that. Congratulations and thank you for sharing such amazing writings with us. Best of luck . Looking forward to the Acorn Abbey building book.